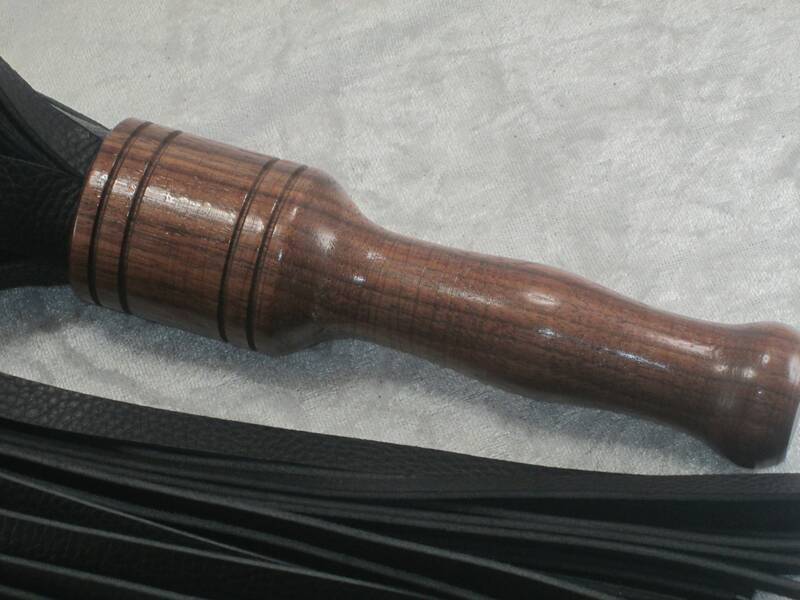 Stunning Black Pebble Chap Leather Flogger with a Handturned Walnut Handle! Completely Handmade! This is a black pebble chap leather flogger with a hand carved Walnut handle! The weight of the leather is about 5 ounces. It has 40 falls. The flogger is approxiamtely 30" from end to end. The Walnut handle is about 8"; which makes the falls approxiamtely 22" long. This handmade item is gourgeous! HOWEVER, as with all items from my store, please play safely. These items can cause serious injury if used improperly.